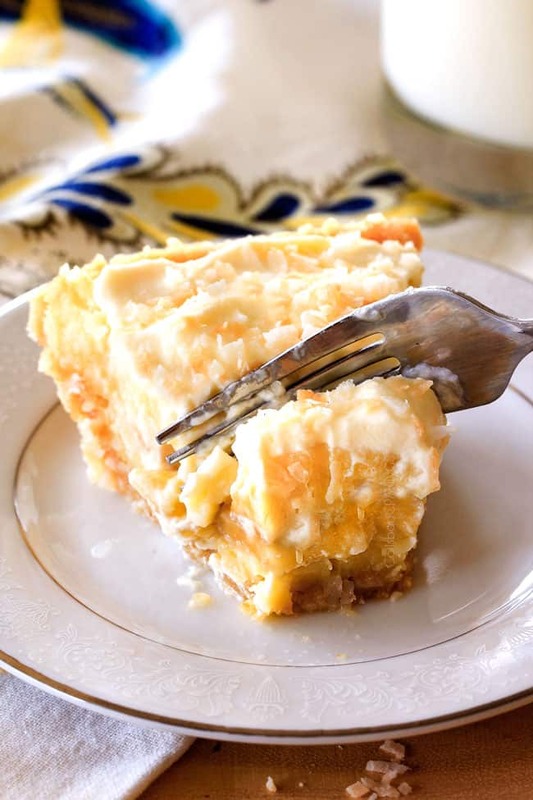 This Banana Coconut Cream Pie is the best ever banana pie and coconut cream pie mashed together to create the ultimate pie! Layers of decadent, coconut infused custard sandwiching freshly sliced bananas, topped with fluffy COCONUT Whipped Cream all nestled in an easy, buttery, Vanilla Wafer Coconut Crust! And the best part is, this Banana Coconut Cream Pie recipe isn’t any more difficult than making either pie and now you don’t have to choose between your two favorites on Thanksgiving, Easter or ever! I have been creating and testing pie recipes to share with you this Fall since August so I am super giddy to finally unveil the first one, Banana Coconut Cream Pie! I have been wanting to share either a banana or coconut pie for a while, but ever since my Mini Banana Coconut Cream Pies, I knew I just couldn’t share one or the other – because they are SO MUCH BETTER TOGETHER! 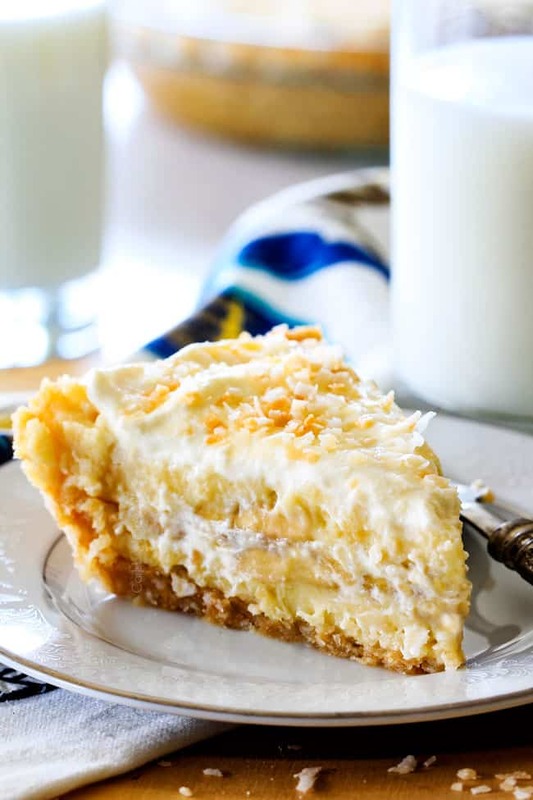 Every layer of this Banana Coconut Cream Pie makes it wonderfully unique and delicious, so first, let’s start with the crust. A traditional flaky crust that is prebaked starts out crispy but ends up soggy once filled and refrigerated with the banana coconut filling, so the answer is our Vanilla Wafer Coconut Crust! This crust not only stays crispy and sturdy once filled, but is far superior in flavor with it vanilla coconut crunch. To make, we take our Nilla Wafer cookies, which are delightfully delicious on their own and busting with vanilla goodness, and pulse them to crumbs in our food processor then mix with sweetened coconut, sugar and butter. Press this crumb mixture evenly onto the bottom and up the sides of an ungreased 9-inch. pie pan and bake until golden. 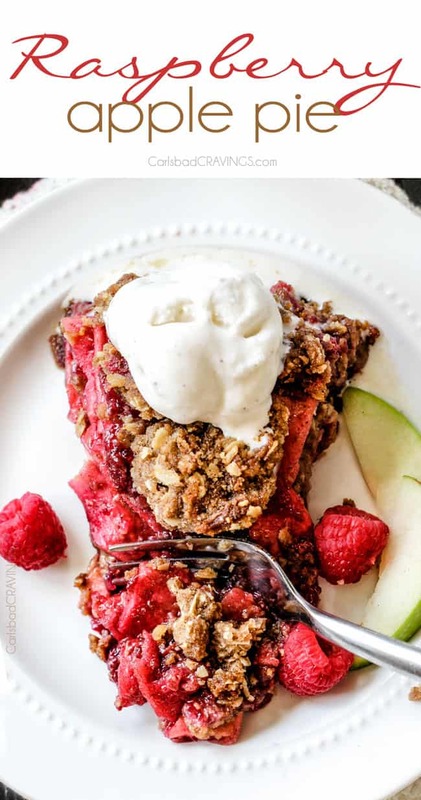 This Vanilla Wafer Coconut Crust can be made a day in advance to save on time (although it is super quick to make), or the day of – just be sure it is completely cool before adding your filling. Speaking of filling, this Banana Coconut Custard Filling is the star of the show, or in next month’s case, the star of Thanksgiving! 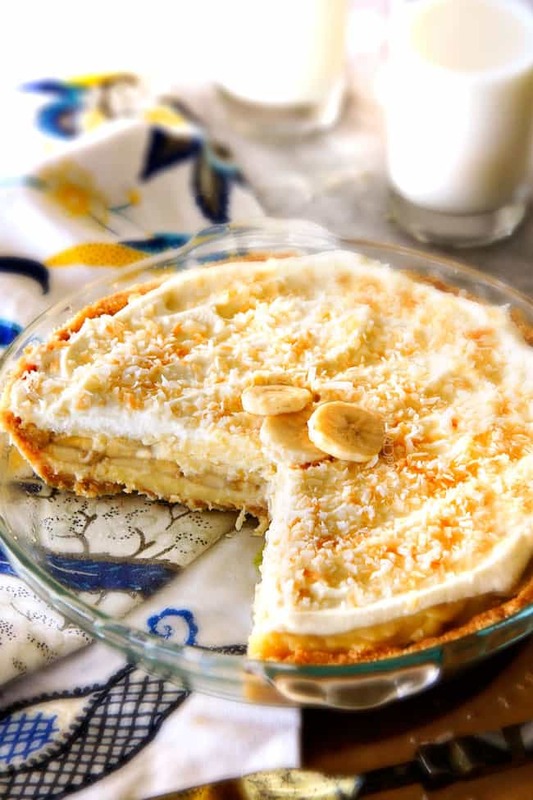 Most homemade Banana Cream Pie recipes are simply vanilla pudding with a layer of bananas – and many Coconut Pie recipes are simply vanilla pudding with a sprinkling of coconut but this Banana Coconut Cream Pie filling is luscious, velvety custard-like coconut filling. To infuse the custard with coconut flavor, we first toast our coconut and then pulse it into appetizing small pieces. We will add this to the filing and also use as a garnish. We also use coconut milk (I highly recommend Chakoah), and coconut extract to achieve 3 layers of coconut delight. The filling might appear complicated at first glance but it takes less than 10 minutes to make and is super easy! First, whisk coconut milk, half and half, toasted coconut, sugar and salt in a medium sauce pan then bring to a gentle simmer for 3 minutes. Next, in a separate bowl, whisk egg yolks, cornstarch and more sugar together until combined (it will be very thick) then gradually ladle one spoonful of the coconut mixture into the yolk mixture and whisk until smooth. Whisk in one additional ladleful until smooth, then gradually pour mixture back into saucepan. This process of slowly adding the warm coconut mixture to the egg mixture is called tempering so the eggs warm up slowly and don’t curdle although cornstarch helps prevent the eggs from curdling so it isn’t terribly risky. Once all the ingredients are whisked together, gently simmer until the mixture is the consistency of thick pudding. This is the final key to a rich, sensationally creamy filling that is thick enough to keep its shape once sliced. Next, we stir in butter, vanilla and coconut extract for superb flavor and creaminess. Next, we let the custard cool for 10-15 minutes. We want the filling to be lukewarm because a hot filling if poured into the pie crust will result in a filling that falls apart when sliced and also is much denser. 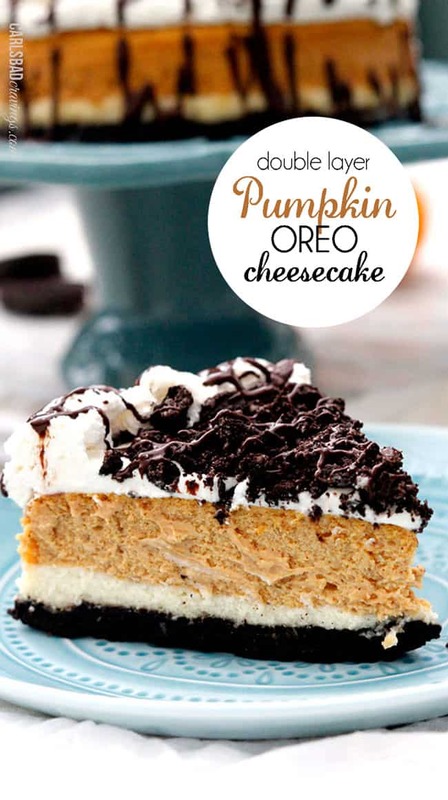 Warm filling, on the other hand (NOT cold), is just right – it has a chance to settle slightly so it mounds when poured into the crust and slices beautifully – all without making the crust soggy. Once lukewarm, pour half of the custard into the crust then layer with our generous amount of bananas then pour the remaining custard on top. Sandwiching the bananas in the center of the custard is the perfect place because if they are placed against the crust, they can make it soggy, and if placed on top, they brown too easily. I use 3 large bananas in this Banana Coconut Cream pie as I find this creates a more proportional ratio of bananas to custard and because the bananas are the best part! Just make sure to use firm bananas because they have a better texture that hold up and keep their true color longer. I also like to serve my Banana Coconut Cream Pie the day it is made, after allowing to chill for 4 hours, because the bananas look the prettiest the day of and therefore the most appetizing. When ready to serve, our Banana Coconut Cream Pie is topped with our Coconut Whipped Cream and toasted coconut. The pillowy Coconut Whipped Cream might sound fancy but it is just easy homemade whipped cream made by beating heavy cream and sugar along with vanilla and coconut extract. The addition of coconut extract, however, makes all the difference. And the combining of Banana Cream Pie with Coconut Cream pie to create Banana Coconut Cream Pie makes all the difference. Layers of buttery Vanilla Coconut Wafer Crust, luscious, rich, creamy Coconut Custard Filling, layers of fresh bananas finished with fluffy Coconut Whipped Cream. In. every. Bite. The ultimate pie. 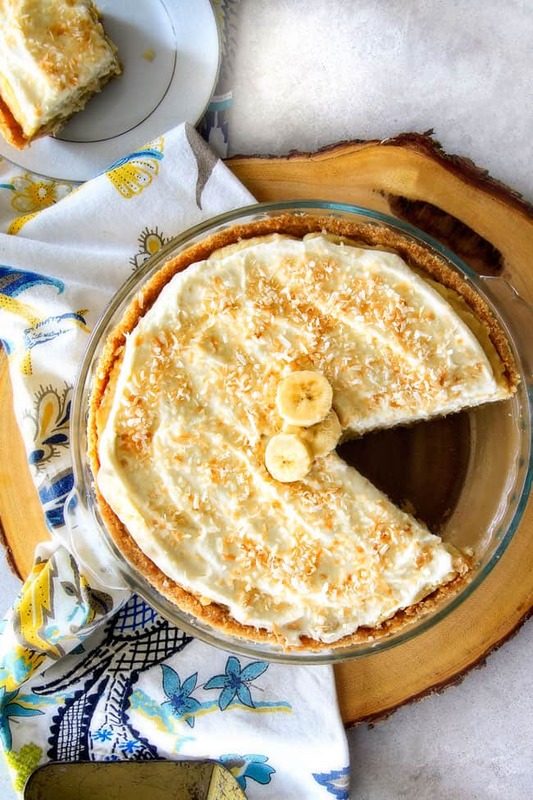 Want to try this Banana Coconut Cream Pie with Vanilla Wafer Coconut Crust? 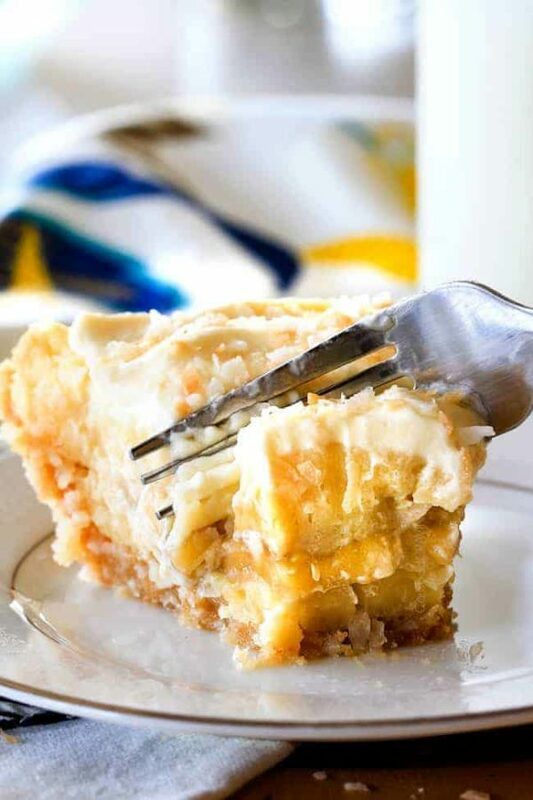 This Banana Coconut Cream Pie is the best ever banana pie and coconut cream pie mashed together to create the ultimate pie! Layers of decadent, coconut infused custard sandwiching freshly sliced bananas, topped with fluffy COCONUT Whipped Cream all nestled in an easy, buttery, Vanilla Wafer Coconut Crust! And the best part is, this Banana Coconut Cream Pie recipe isn’t any more difficult than making either pie and now you don’t have to choose between your two favorites on Thanksgiving, Easter or ever! 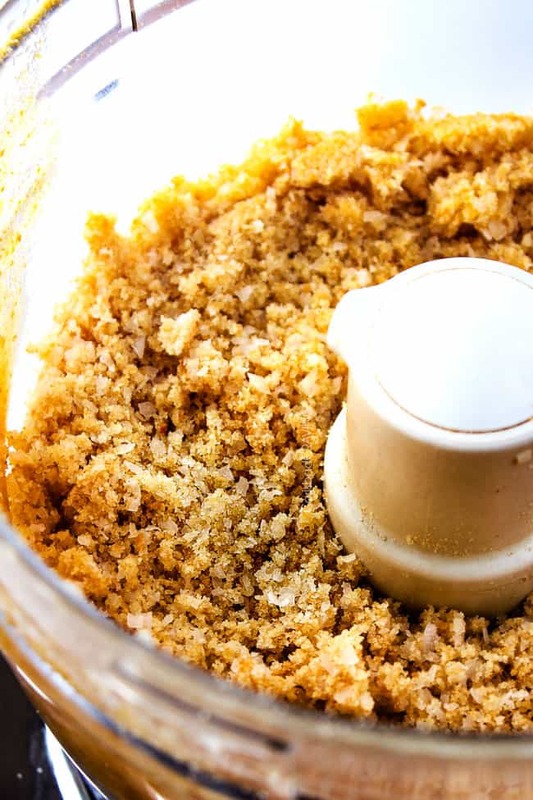 Add vanilla wafers to food processor and pulse into fine crumbs. Add coconut, sugar and butter and pulse to combine. Press crumbs evenly onto the bottom and up the sides of an ungreased 9-inch pie pan. Bake at 350 degrees F for 15-18 minutes or until golden brown. Cool before making filling. Add 1 cup coconut to food processor and pulse into small pieces. Add to a baking sheet and toast for 5-7 minutes, stirring occasionally, until golden. Remove 1/4 cup for garnish and the rest will be for filling. Add coconut milk, half and half, toasted coconut (from previous step minus garnish), 1/3 cup sugar and salt to a medium saucepan and bring to gentle simmer for 3 minutes, stirring occasionally. Turn heat to low. 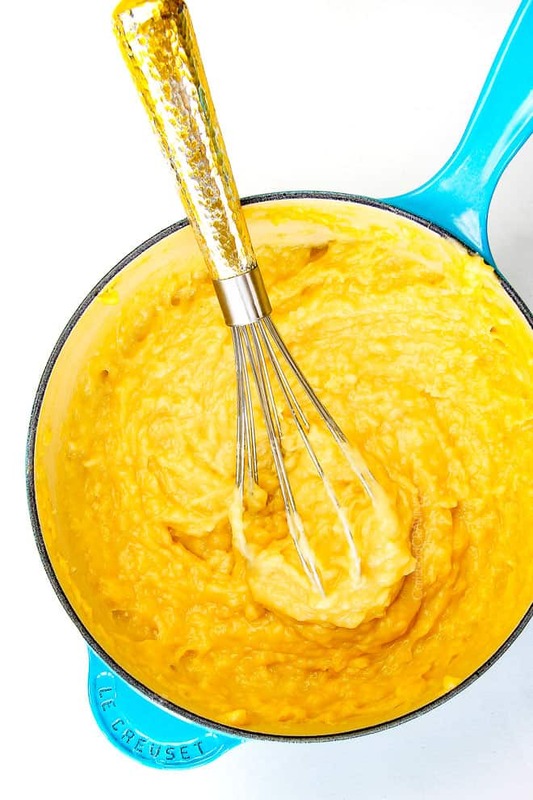 In a separate medium bowl, whisk egg yolks then whisk in 1/3 cup sugar and cornstarch until well combined (it will be thick). Gradually ladle one spoonful of coconut milk mixture into yolk mixture and whisk until smooth. Whisk in one additional ladleful of coconut milk mixture until smooth, then slowly pour mixture back into saucepan, whisking constantly. Bring mixture to a gentle simmer over medium-low heat, whisking constantly until thickened to the consistency of thick pudding. Remove from heat and whisk in butter, vanilla and coconut extract. Let cool 10-15 minutes until lukewarm then pour half of the filling into cool pie shell. Smooth, then layer evenly with bananas, then top with remaining filling. When ready to serve, prepare Coconut Whipped Cream by beating heavy cream and sugar, at medium high speed until soft peaks form. Add vanilla extract and coconut extract and beat to barely stiff peaks. Spread whipped cream over chilled filling. Sprinkle with reserved toasted coconut and garnish with bananas for decoration if desired. *The pie crust can be prepared 2 days ahead of time and covered with foil and stored at room temperature. *The coconut for the filling/garnish can be toasted ahead of time and kept in an airtight bag for weeks. *DO NOT prepare the filling and store separate from bananas. *I do not recommend freezing this pie. *The bananas look the best if the pie is served the same day. Thank you Spencer, my feelings exactly! I hope you can make it soon and love it!!! Made this for my card group, along with the 7 Layer Candy Apple Cheesecake Bars and the Cranberry Pistashio Cheese Log. They LOVED it! Making the pie and log again for my family Christmas. So yummy!! Have a Merry Christmas and thanks for all the recipes. You are so welcome Sherie! I’m thrilled to hear the recipes were a hit and Christmas worthy repeats! Thank you so much! Merry Christmas!